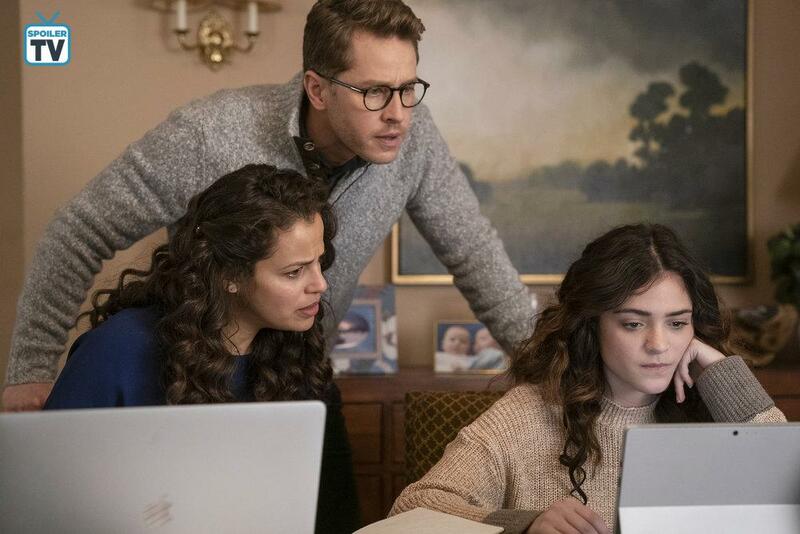 Manifest - Hard Landing - Review: "The Wolf Among Them"
Last time on Manifest, a dead guy attacked Mick. We were led to assume that was the wolf attack Cal drew, but the ending to this episode suggests differently. This dead guy, who turns out to be not so dead, may not be a physical wolf but he's violent and mean all the same. In a flashback, we learn this guy was an armed robber. He stole a security van containing actual duffel bags of cash with two cohorts. But, not one to share I guess, he killed them before taking off with the van. At some point, he crashed it into the ocean, staying down there for what the police believe were exactly 82 hours and 8 minutes. How very Lost. But that begs the question, how can he still be alive? Grace, Ben, and Zeke think this guy is somehow one of them. What was three days for the world must have been minutes for him. They all go with Mick to the hospital to talk to this guy, whose name is James, and find out for sure. The guy wakes up spouting off about people and children being in danger. Mick thinks he was having a calling. The Calling Gang, instead of wondering how this guy could be one of them wonder why he is because he's ... a bad guy? I don't think it's been established yet how if at all morality plays into whatever's going on, but okay. I guess it goes along with them thinking this is some kind of divine intervention, but last week they thought they weren't anything special like a saint or an angel, so it's a bit confusing on what they actually believe is going on. The only thing they know for sure is it has something to do with Cal, since Cal drew him as the wolf, or so they think. 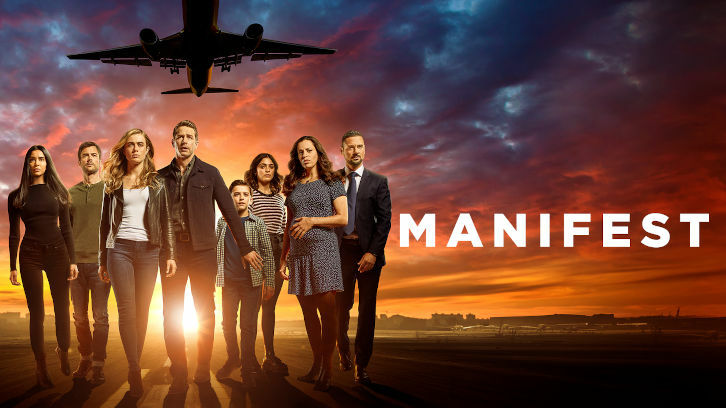 I do like the way the show is heading in the direction in terms of exploring what different kinds of people would do with the gifts Flight 828, Zeke, and co have been given. Because James is the complete opposite when it comes to how he wants to deal with these callings. 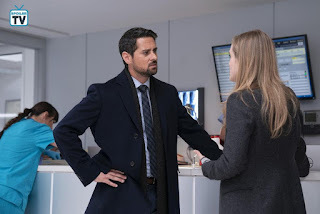 After Mick confirms to him that he's not going crazy, that he's seeing visions of families being killed by a bomb, James takes this as an opportunity to get a real get out of jail free card. He can do that because the FBI informs Mick's police department that there have been mumblings about a possible terrorist attack happening soon, and James may be their only lead. James wants full immunity in exchange for the location of the bomb, but Mick doesn't want to give him that, so she enlists the help of Ben and his family to help her find something to use against him to get him to tell her what she wants to know without him getting immunity. That's not only going to be a tough task but an ethically iffy one. Ben the research guy gets on the case immediately. He discovers James was in foster care, abuse situations, and juvie. Mick tries to use those things to break him down, but it doesn't work, until Ben gives her information on someone from James' past, Devon. That's what gets him. Devon and James were best friends who robbed someone together. James killed him, but told the police it was Devon. Devon went to prison instead of James and later died, and James feels guilty about it. There's a connection building here that Ben realizes. Mick lost someone, Zeke lost someone, and James lost someone, and they all feel responsible for their deaths. 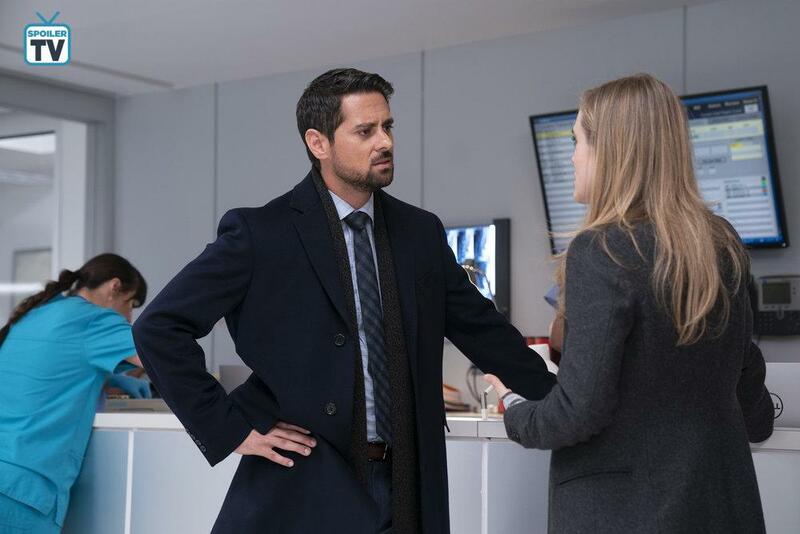 Mick is not successful in getting what she needs before the FBI steps in to give him the immunity deal. She pleads with him that he's going to suffer consequences for misusing the callings. But James doesn't care. He makes the deal and gets immunity, and the bomb squad finds the bomb in Midtown, in a food cart. They disable it, and all seems to be well, but Mick gets a vision of a wolf growling at her. She knows something's still coming. Jared inserts himself into the case without anyone asking him to. 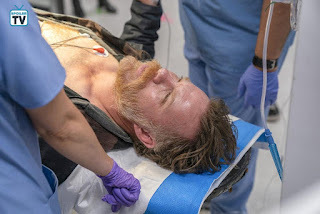 This is because when he arrived at the hospital to check out James, he met Zeke for the first time, and went into full jealous mode. He even has the gall to think that he should have been told about Zeke, when this isn't his situation to deal with, it's Mick's. Mick goes ahead and tells him about Zeke being one of them and now believe James is one of them too. Jared is quick to say that Zeke might be just like James, a bad guy, but Mick dismisses that. But Jared doesn't let it go, and what makes his ire worse is when Zeke is arrested for trying to break into his mom's house. Zeke explains that he wanted to make sure she was okay before he talked to her, to see what's going on in her life by looking at her stuff, I guess. It's not a strong excuse. This gives Jared all the incentive he needs to look into Zeke despite Mick telling him to let it go. That's it for this week. I wasn't a fan of the Jared stuff as per usual, but I really enjoyed the James part. I liked seeing someone that was going to take these abilities and really do something dark with them, instead of trying to ignore them all together or use them for good. It's a nice difference. Now that we're close to the season finale, what do you all think is going to happen? Is Zeke good or bad? Is Mick going to get eaten by a wolf? Is The Major finally going to actually do something after watching them from afar this long? Let me know what you think in the comments, Manifesters.